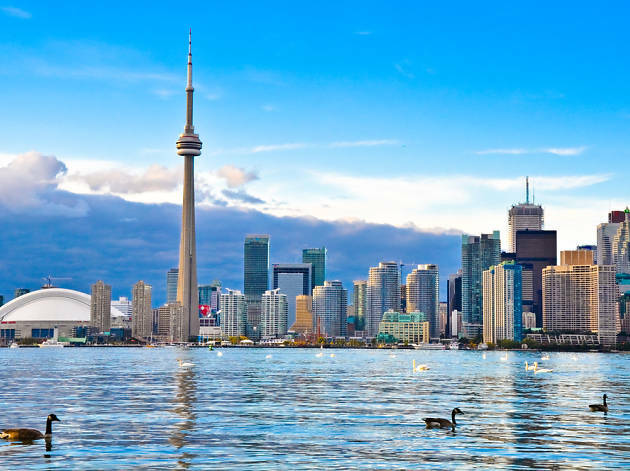 Whether you’re in town on business or visiting for fun, touring Toronto’s attractions, museums and trying to tackle the very best things to do while here can be overwhelming. Luckily, this energetic metropolis of over 2.7 million residents has ample ways to reboot: from lavish day spas to big-name hotel spas to no-frills suburban sanctuaries that offer one-of-a-kind experiences. Taking a time-out should be part of your itinerary, not just to recharge but to also get exposure to unique city vibes and different cultures and traditions. Start your spa-cation at one (or all?) of the best spas in Toronto. The spa king of Toronto is undoubtedly Elmwood. 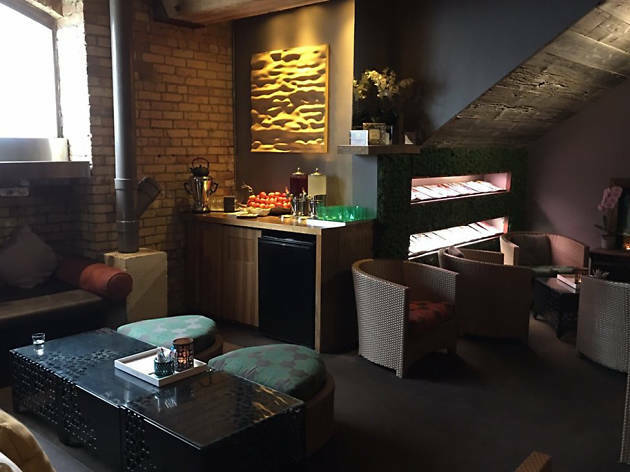 Tucked away in a heritage building on Elm Street, it has more space than any other standalone spa in Canada: four spacious floors with two restaurants, a juice bar, 34 treatment rooms, 50 registered massage therapists and a plethora of hydrotherapy facilities (swimming pool, whirlpool and steam rooms). The ultimate indulgence is the seven-hour “Revival” retreat that includes a massage, facial, mani-pedi, hair blowout, lunch and a parting gift. 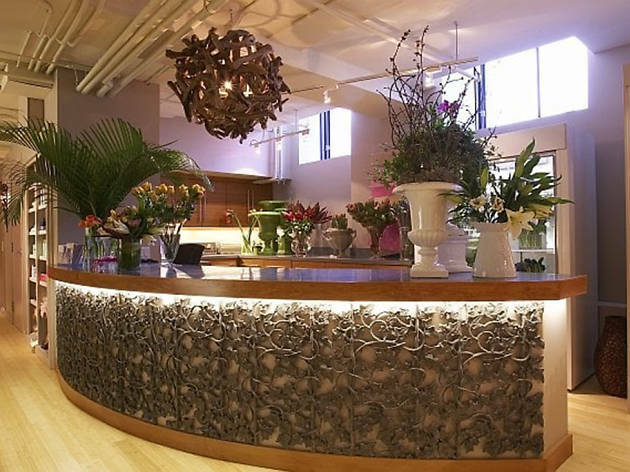 Tucked inside a restored 1850s chocolate factory on Adelaide Street East is Sweetgrass—a luxurious, women-only spa that’s considered one of the best in Canada. The treatment menu is extensive, offering everything from mani-pedis to warm stone massages to reflexology to body wraps. One of the most talked about treatments is the 24-karat gold organic facial, a gilded masque that makes your skin glow. Allocate two hours to enjoy the infrared sauna, steam room, jacuzzi and ozonated pool, as well as a leisurely lunch in the lounge. Don’t be fooled by the no-frills suburban setting: there’s an incredible spa experience hidden inside the South-Western Bathhouse. 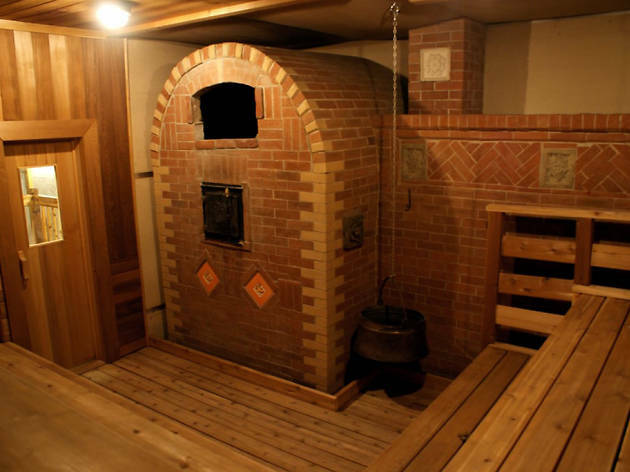 The facility offers a Russian-style banya (or sauna) that can accommodate 25 bathers and is heated by a brick stove that burns aromatic apple, birch, oak and cherry woods. 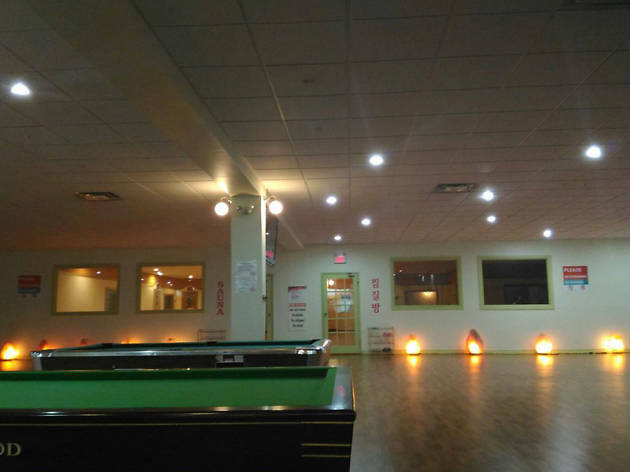 There’s also a dry Finnish sauna and a Turkish hammam, as well as a Russian tea room serving delicacies like pojarskie kotleti (chicken patties) and Borscht soup. Robes, towels, slippers, lockers and premium teas are included in the very affordable price of $40 per person. Expect to encounter throngs of bathers with Russian roots. 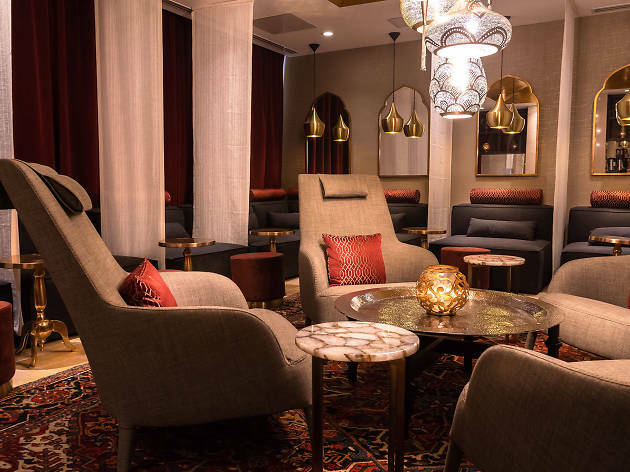 Considered “heaven in the city” by spa junkies, the Miraj Hammam Spa brings Old World healing traditions from Morocco, Turkey and France to Toronto. While the spacious mosaic-tiled hammam is clearly amazing, this spa is notable for its “vinotherapy”—wine-inspired signature treatments like the crushed cabernet scrub, honey and wine body wrap and the vinoperfect facial treatment. 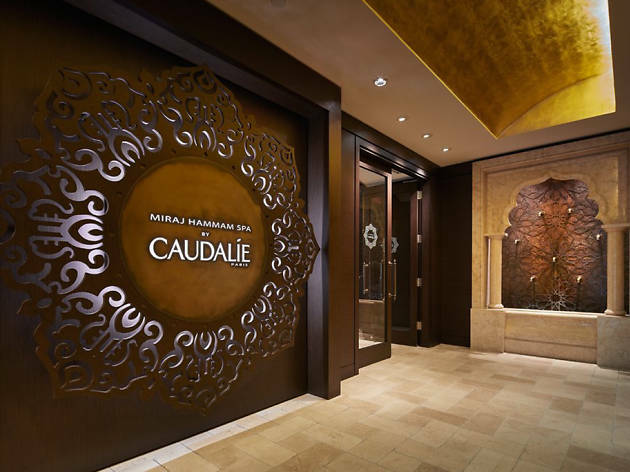 FYI: the Miraj is one of two spas in North America that has partnered with Caudalie, a French skincare brand that blends vine extracts from bordeaux, champagne and burgundy vineyards. Does floating in a water-logged pod appeal to you? Head over to H20 Float Spa on Danforth Avenue for some “float therapy,” where you drift weightlessly on your back in a pod filled with 10 inches of water and 1000lbs of Epsom salt. It’s a unique experience that leaves your skin silky and soft, and promotes total relaxation, thanks to the zero pressure on your body. Pro-tip: the spa can accommodate couples floats, allowing you to lie beside your bae in a tub as big as a queen-sized bed. This heavenly spa touting “health by water” is just for the ladies. 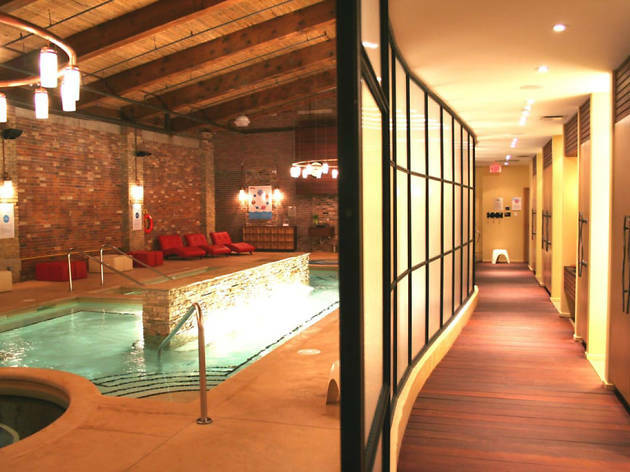 With two locations in the city, Body Blitz helps women get Zen with various hydrotherapies, including a warm Dead Sea salt pool, a hot Epsom salt pool, a eucalyptus steam room and an infrared sauna. There are also plenty of treatments, ranging from body scrubs to massages to body muds, available. Oh, and bathing in the buff is permitted. The trek to north Toronto is totally worth it for this unique spa experience. The city’s first traditional Korean spa (or jjimjilbang), Seoul Zimzilbang channels the healing powers of heat, offering six mineral sauna rooms for “sweating it out.” This 16,000-square-foot facility is divided between the sauna section and lounge area, where you can chillax in the TV room, play billiards or chow down at the canteen serving sushi and ramen. The spot is open 24/7 and is ideal for drying out (literally) after a late night in the bar. 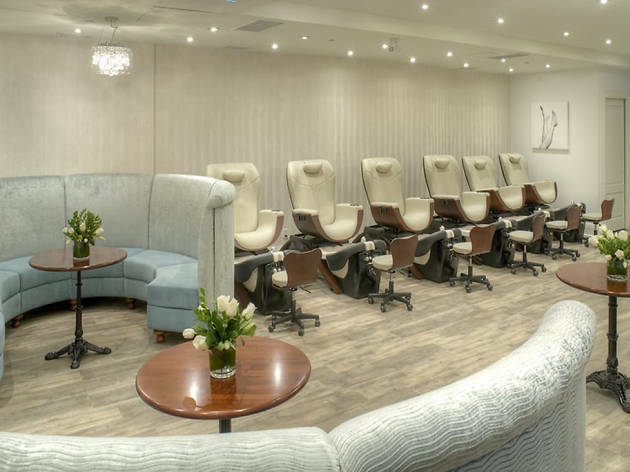 If you’re looking for a mani, pedi and blowout surrounded by locals in a chic space, look no further than Her Majesty’s Pleasure. 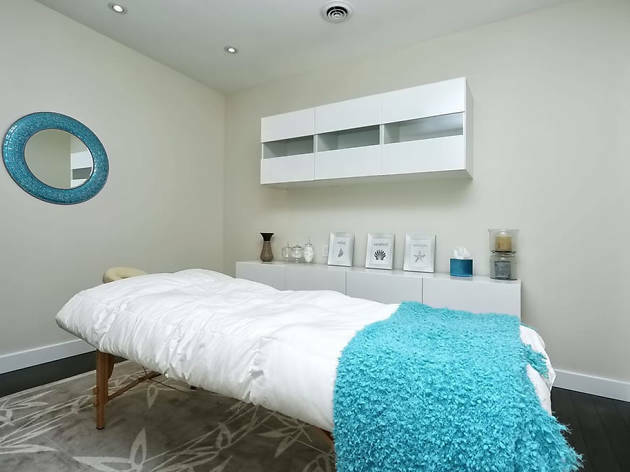 This award-winning salon and spa in the King West Village Fashion House offers an array of spa services, from hair removal to facials to full body massages. The big selling feature? 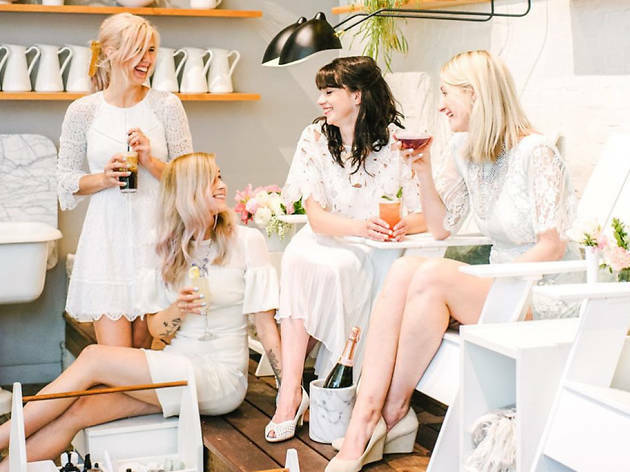 Get primped and pampered while charming bartenders serve creative cocktails, champagne and sweets to you and your friends. 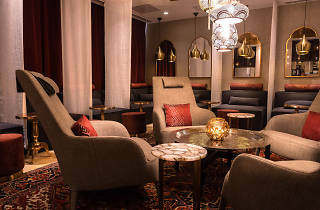 This popular Turkish-style, co-ed spa is a mainstay on King Street West. Rated “six stars” by some spa junkies, Hammam boasts five manicure tables and pedicure thrones, nine private treatment rooms, two Turkish suites for wet services, and three exclusive spa suites equipped with two-person jacuzzi tubs, rain showers and massage beds. The crowning jewel is the 500-square-foot Hammam steam room, where you can blissfully bathe in aromatic mist at 102 degrees. It can be quite zooish during the Toronto International Film Festival in September, so you might want to plan your visit accordingly. 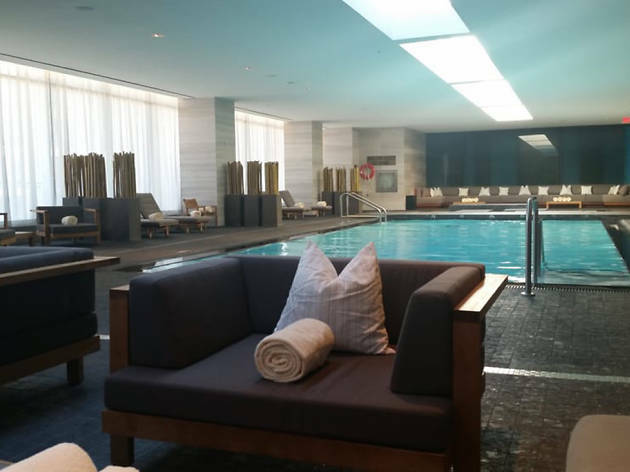 The opulent Four Seasons Hotel Spa gets rave reviews, with some spa-cationers calling it “the bomb dot com.” This spacious, 30,000-square-foot facility has 13 treatment rooms, two steam rooms, a pool, a sauna, and a salon with hair and nail services. Other wellness services include traditional Chinese medicine and psychic readings (!). Changing rooms are stocked with little luxuries for guests, like biscotti, teas, shampoos, fruits and beauty products. Bonus info: the outdoor relaxation deck has an incredible city view, so bring your phone for an enviable selfie. Relaxed enough to tackle Toronto’s cultural offerings? 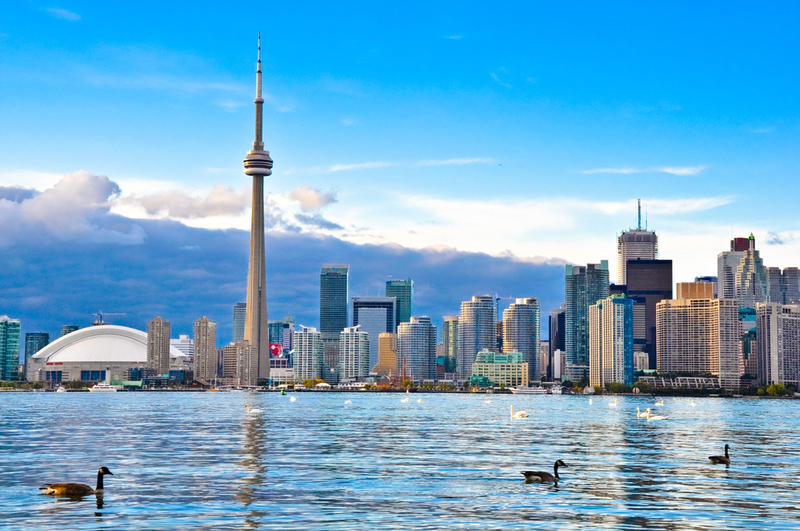 Most first-comers are sure to visit the famed CN Tower, but there is so much more to see in this vast, vibrant city.